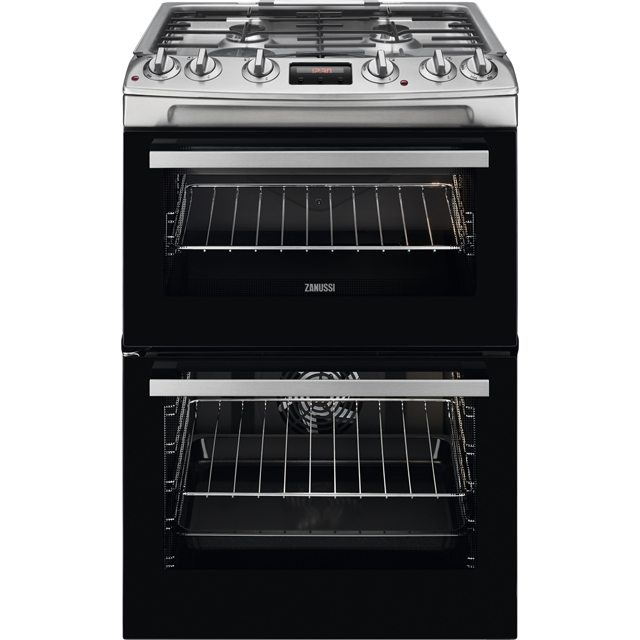 Prepare every dish to perfection with this stainless steel dual fuel cooker from Zanussi. With an A/A energy rating, this model is the best solution to cost-effective cooking - and it’s environmentally friendly too. The main fan oven uses Thermaflow® technology to circulate hot air inside, for thoroughly-cooked dishes. This also means you can roast your chicken on the middle shelf, whilst cooking the apple pie at the top, without flavours transferring. Plus, the second electric oven has a handy grill function, which will come in great for making cheese toasties. That’s not all either, as this model has special catalytic liners. These absorb any grease inside, so it’ll only need a quick wipe to leave it sparkling. * ZCK66350XA_SS was at the higher price between 04/03/2019 and 11/04/2019.